And with that come some great learning opportunities with toddler Easter activities! As you will learn from this article, these activities do not need to be complicated. In fact, there are probably many things you are already doing that will help with your toddler’s speech and language development. Maybe you have added some Easter or Spring decorations around your house, perhaps you have started planning your Easter Sunday meal. Did you know that while you are doing these things you can also help your toddler with her speech & language development? There are so many new words that can be learned during various holidays, seasons and celebrations. And if you want to throw in some guided play activities as well, I will discuss a few good ones and how you can turn them into wonderful opportunities to facilitate speech-language development. Target common Easter vocabulary such as: bunny, basket, egg, grass, sun, hop, jump, hide, look for/find,etc. If you are Religious you can focus on some religion specific Easter words. Remember to choose words that won’t be too hard for your child to try to say on his own and that he has the opportunity to hear many times. It’s also good to focus on functional words that will help with communication and in turn reduce frustration and tantrums. All you need are some plastic Easter eggs that open up, small dollar store toys (or pictures) and an Easter Basket. Let your child know that this is a “pretend” Easter egg hunt. You can call it an Easter game. 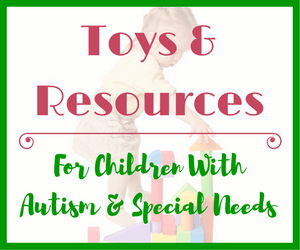 Find a few small toys that represent common words your child isn’t saying yet. Some examples of first words include: cat, dog, apple, bug, shoe, tree, key, car, train, etc. Download your complete list of the most common first words spoken by babies and toddlers below. If you are having a hard time finding toys to represent these words, just print out pictures of them. They are meant to go inside the Easter eggs. Each time your child finds an egg you may prompt her to say “open” or “open egg”. Once the egg is open she can try to say the word of what’s inside on her own or repeating after you. But if this is too challenging or if you aren’t sure if she knows a particular word, wait until 3 eggs have been opened. Lay out the 3 pictures or objects and ask your child “where is the _____?” and see if he can find it. Or keep it even simpler by leaving the eggs empty. But, each time your child finds an egg he can try repeating after you and saying “egg” or “I found (an) egg”. Remember to keep the interactions fun and natural. If your child won’t repeat after you, don’t sweat it. Just keep saying the target word/phrase and eventually he will pick it up. Alternatively, you could put a treat such as a few cheerios in only certain eggs. Your child could work on saying “empty” or “all gone” if there is nothing inside. Targeting “open” and “close(d)” also works well for this game. There are so many different ways that you can use these Easter eggs! I used to do this activity in my speech-language sessions and even my youngest clients love it! This is a simple activity but it will take a bit of prep work on your part. Download the bunny pictures and instructions from From ABC’s To ACT’s. Once you are ready, you and your child can take turns matching the bunny tail (pompon) color to the correct rabbit. Each time your child takes a turn say “bunny” and encourage her to try saying “bunny” as well. If your child is starting to combine words model a short phrase such as “green bunny tail” or “bunny hop (away)”. If taking turns is a goal for your child then work on the phrases “my turn” and “your turn” as well. You can also put all the “bunny tails” into a bag and have your child reach in to pick one out. Each time she pulls one out she could say “I found (a) bunny tail”, “I found (color name)” or “I see (color name or “bunny tail”). These short phrases are known as “carrier phrases” by speech-language pathologists and are a great way to practice going from one word to 2-3 word sentences. All you need for this activity is a large wooden/plastic spoon and some plastic Easter eggs. This will work well if your toddler has older siblings as they can participate. Give your child a spoon and an egg and encourage her to walk fast or run across the room balancing the spoon. This is great for practicing balance and hand eye coordination but it also works well for building vocabulary and expanding words into phrases. If the egg falls off the spoon say “uh oh, the egg fell down” and then say “fall down”. Your child may repeat “uh oh” or “fall down” or simply say “fall” or “down”. It is important to model grammatically correct phrases, but if your child isn’t using many words, leaving out some grammar here and there (especially if the goal is having your child repeat you) is ok from time to time. The goal here is to vocalize and perhaps learn a new word such as “egg”, “Easter egg”, “hop”, etc. Head over to And Next Comes L for their “Wobbly Easter Egg” instructions that can make this activity more challenging from a motor development standpoint. You guessed it, you will need some plastic eggs again. But the element of water is added to this activity because playing with water is a wonderful learning experience for toddlers. Get a large plastic bin and toss in some big spoons for scooping, a colander, and a few cups. And don’t forget the eggs. Then fill it with water. This activity seems like it would be more for sensory and motor development however, you can incorporate language skills into it as well. If you have some plastic ducks and bunnies throw them in too. Label words your child might not be saying such as egg, bunny, duck, spoon, water, wet, dry (sink and float for older siblings). You can encourage your child to try and “catch an egg (duck, bunny, etc.)”. Have plenty of towels around because this will get messy. Luckily it’s only water and can be cleaned up easily. So far I have really only talked about how to incorporate language development into these activities. A toddler’s speech sound production is not expected to be clear; many sounds don’t develop properly until a child is over the age of 3. However, there are certain sounds a child should be saying clearly by the age of 2-2.5. Some of these early sounds include p,b,m, n, h, t, d and a few vowels. Easter activities for young children lend themselves well to practicing sounds like “b” – bunny, “h” – hop, “e” – egg, “o” – open, “d” – duck. As you can see, it isn’t very difficult to add a speech-language focus to toddler Easter activities. Whether it be a craft, game or sensory play, language building opportunities are everywhere. Don’t forget to download the 85 Most Common First Words to help you figure out some words your little one might need to hear more often! And if you are concerned about your child’s speech-language development take him to a licensed Speech-Language Pathologist for an evaluation. In North America there are many facilities that offer FREE speech-language services for children 3 and under. However there will be wait lists. If you have private insurance coverage there is a good chance that an Assessment and potentially some therapy sessions would be covered. These are really great ideas! I’m working with my toddler right now to get him to talk more, maybe some of these will help him out. Thanks for sharing! Glad you liked the toddler Easter activities ideas! Hopefully your son will love them too! First of all, can I just say, what a really nice website. What child doesn’t like Easter, all that chocolate? My children are a little older now, although, I do have friends with children at the age you’re talking here, some even have learning difficulties and I think your advice might help them. I’ll be sure to pass on the info. There are some really nice games to play with your children in this article, bonding time with parents or carers is so important to a child’s development, they learn so much from an adult. Keep up the good work and I’ll be sure to pop by. Thanks Matt! I’m happy to hear you enjoyed the article. I hope your friends will find it informative as well! I keep finding so much great information on your website! I have a 2.5 year old brother who isn’t speaking very much. I think he would really love to go around the house looking for Easter eggs. I never even thought of something like this. And putting little objects or pictures inside the eggs is so simple but a great way to help with his vocabulary. Thanks again for this wonderful article! Thanks! I know your brother will love this activity! And it’s a great way to work on his speech and language skills. Do you know if he has been referred for a speech and language evaluation? By 2.5 years old, children should have over 100 words in their spoken vocabulary and should be combining words into short 3-4 word phrases. Thanks for writing this useful article. I love that you have given specific information about techniques to focus on speech and language development. I believe your guidelines will help us to improve our child’s learning ability. I have two kids and both of them are fun loving. They are always interested for any kind of colorful games. I am going to share your article with some of my friends and family members with young children. Thanks for sharing these helpful tips. I’m happy to hear I was able to give you some ideas for games to play with your kids around Easter! Thanks for this information. When I saw your post I was surprised to see that Easter is around the corner. Meaning this year is going again. I love this language children development stuff here. I have a three year old daughter that is just learning how to pronounce some words. I believe this article will be helpful for us so I will show my wife. I would like her to learn some Easter related words that will help my daughter more. 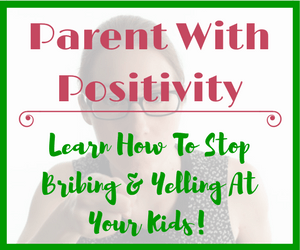 I’m glad this article was able to give you some ideas for getting your daughter speaking! You mention that she is just learning how to pronounce some words. By this do you mean that she is just learning to speak? If this is the case I highly recommend having her evaluated by a speech-language pathologist. By the age of 3, children should be speaking in short sentences. You are right, most children learn language without any explicit teaching activities. However, there are some children who lag behind. 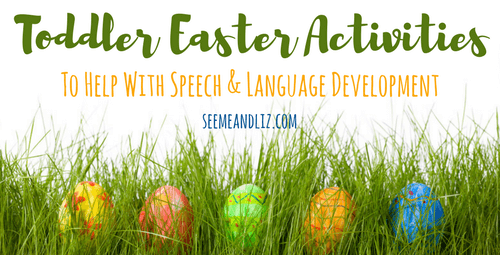 These Easter activities are meant for young children who are struggling to communicate. Great writeup. Toddlers can be difficult sometime when it comes to the first words and teaching them how to talk. To me home language really matters and kids do responded greatly to it, they grab the most repeated words quickly than the ones sedomly used. An example is my cousin and nephew who were raised away from their home country, funny enough, they understand their home language but could not form sentences with it by themselves. Thanks for your comment Ayodeji! Native (home) languages are important for children. However, if they are in a country where another language is dominant they do often lose that first language. My first language was German. But growing up in an English speaking country I have lost a lot of my German speaking ability. As I got older I started speaking more and more English, even if my parents were speaking to me in German. I always answered in English (they could understand it and eventually became proficient English speakers themselves). This is a great article! I don’t have any children of my own yet, but I am an online ESL teacher. I teach children from around 5 to 12 years old. 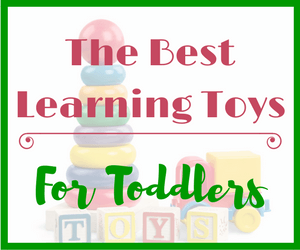 I know that your activities are targeted towards teaching toddlers but I think that I could adapt some of them to work well for my younger online students. I think they will love it if I hide things in easter eggs and then open it and let them see what is inside. It will be a fun reward for my classroom! Thanks. I’m glad that the article was able to provide you with some tips for your ESL students Mariah! I hope they enjoy the activity! I am so happy that I found your site. It has a lot of useful informations. Even if my language is not English I can use a lot of your advices. My daughter will be almost 2 years old and she started talking little later. She is catching up to others quick now, but still is nice to know how I can help her even more. Here it is still snowing so I forget that Easter is coming soon. I think I will Egg hunt with my daughter tomorrow. If you are speaking English and another language with your daughter then it is normal for there to be a slight delay in her ability to speak. But she should catch up quickly. If you are concerned please speak to your doctor or find a speech language pathologist. It is better to do this early rather than taking a ‘wait and see’ approach. This article explains why in more detail. We also have a lot of snow were I am. Sometimes it is gone around Easter so we can do some fun activities outside but often it lingers until mid April. I’m sure your daughter would love doing a pretend Easter egg hunt out in the snow. Or instead of building a snowman why not try making some giant Easter eggs. You can decorate them with paint brushes dipped into containers of food dye! Use your imagination and your daughter can have so much fun while learning at the same time! 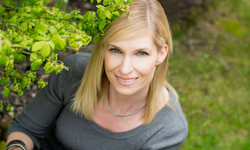 You are great at making every day life educational and I love that about your articles! I have a 2.5 year and he’s talking quite clearly but my 1 year old has very basic words yet so if he’ll have a problem learning to speak I’ll definitely come back here and use your tips! Thank you so much for sharing all this stuff! Thanks Justina. I love showing parents how easy it is for a child to learn through play! 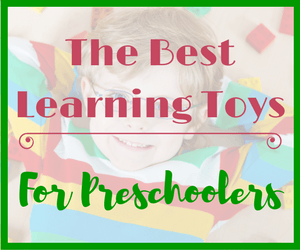 There is no need to print out lesson plans and set up elaborate activity stations for a toddler or preschooler. From a learning perspective it is much better to go with the flow and incorporate learning as naturally as possible. This is a very useful article! My sister has 18 month old twin boys so I’ll be sure to pass on some of useful information and tips you have provided in this article. I’d never thought about how many opportunities there are to teach kids new words to enhance their vocabulary, and thanks to your article people can find fun and easy ways to do this. Do you have kids yourself? If so I can imagine Easter will be a fun time for them! Thanks for your comment and for passing on this article to your sister for her twin boys. Opportunities to build language and new skills are everywhere! 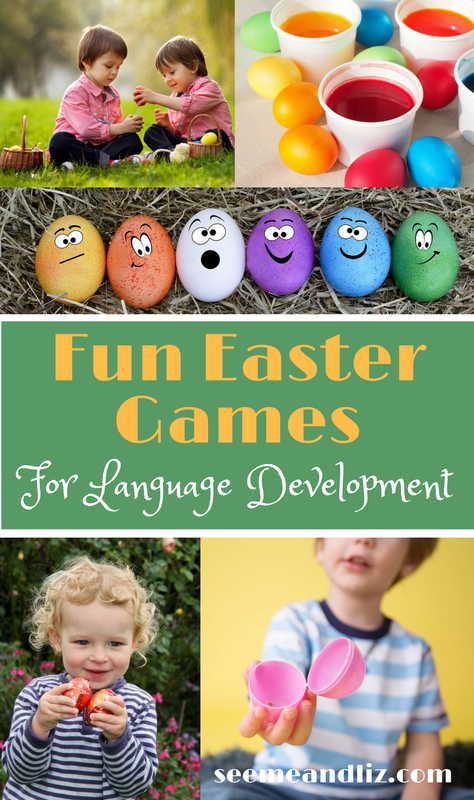 These toddler Easter activities are specifically mean for children whose language is a bit behind what would be expected for the age of the child. I do have kids. They are 8 and 10 now. You can read more about my background in child development here! I really like your site, and will bookmark it! I’m especially interested in the learning through play for newborns… The free ebook you offer is a great resource too.I read somewhere that babies actually realize in the womb if someone is speaking their mother’s native language or not! Smarty pants. I’m glad that you like the website. I have quite a bit of information about babies and how they develop so make sure you take a look at those articles. Here are a few to get you started! Absolutely outstanding language acquisition techniques here – not only for toddlers or slightly older children! I’m going to nick a few of these ideas and games for my younger students (I’m an ESL teacher). The more fun I make class the easier and more natural learning will become! Thanks! I am very happy to hear that you found my suggestions helpful. You’re right in that natural learning is best for children. These activities can easily be adapted to fit the needs of your ESL students. Indoor Camping Ideas For Kids To Spark Learning! These are really great ideas! 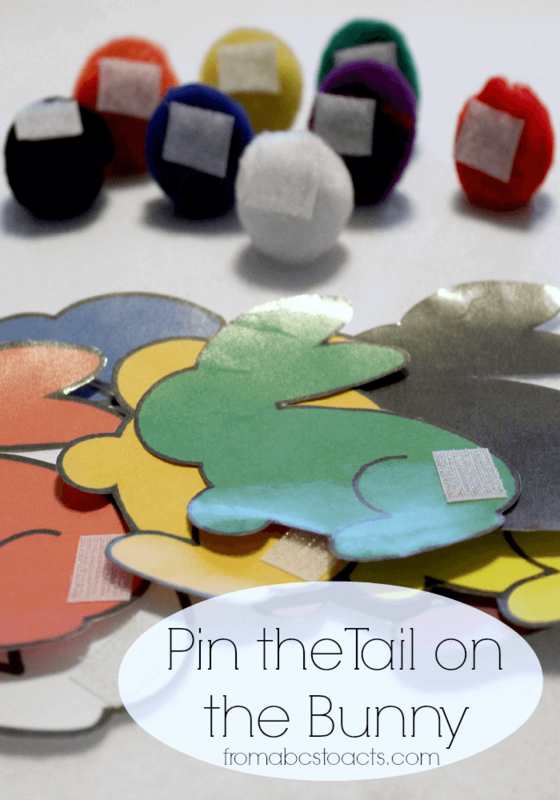 I have never heard of pin the tail on the bunny =D But I guess you can pin the tail on anything lol. I love the idea of the easter egg hunt. My daughter is only 4 months old, but I will definitely look into your website in the future for more ideas! Thanks for your comment. Yes, you can pin the tail on pretty much anything and if you head to Pinterest you will find some great ideas! 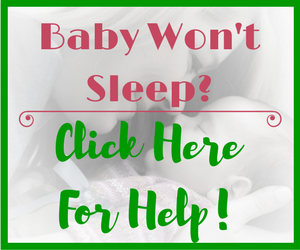 There is actually quite a bit of information on the site for parents of babies, so make sure to check it out. Here are some articles to get you started.